WooCommerce Wishlist is wordpress wishlist plugin that help you to convert your site users into customers. When customers can’t buy a product at this time. Possibility to save products for later encourages users to return to your site and make a purchase. By Sharing their Wishlists, they are bringing you, new potential customers. Remove Product From Wishlist If Added into Card. Set “Add Wishlist” button Text. Set “View Wishlist” button Text. 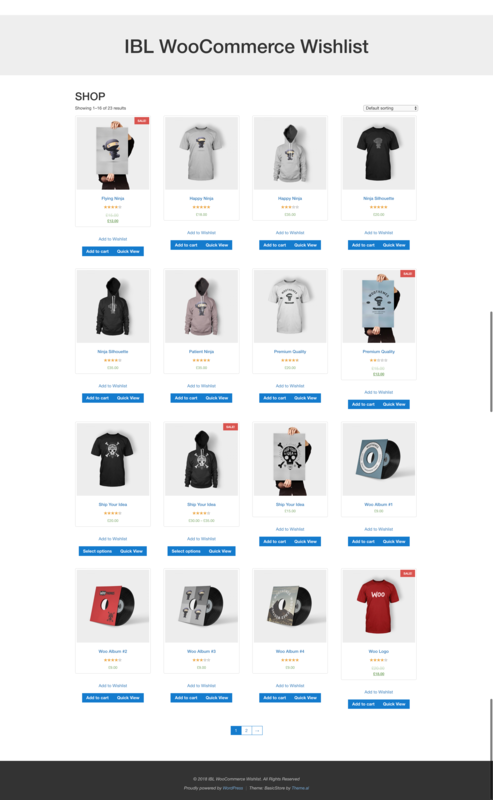 Position of Wishlist button on Product Page and List. 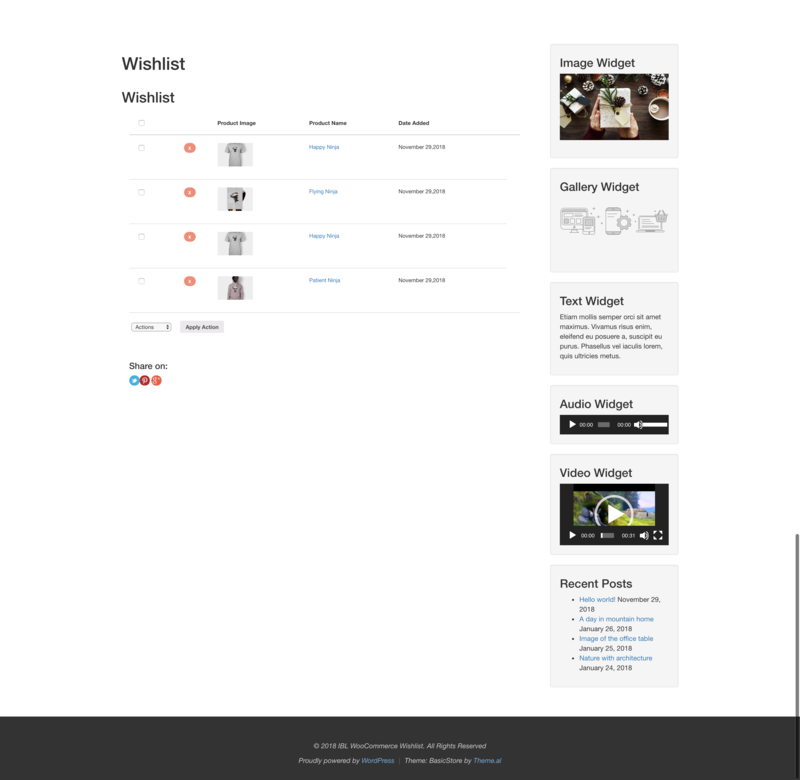 “Add Wishlist” and “View Wishlist” Display As Link or Button. Display Icon/Text or Text with Icon. Set Icon with Custom Color. Select Different Icon for “Add to Wishlist” and “View Wishlist” Button. More features added all the time!